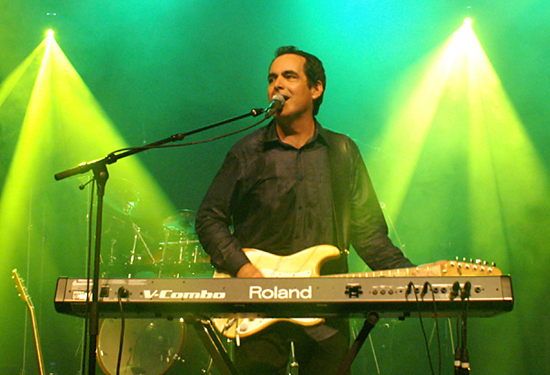 NEAL MORSE "The Morse Code"
Neal Morse first came to the attention of the prog rock community as a major force in the band Spock's Beard. After a good run in that outfit he made the decision to leave the band to pursue his Christian faith with his music. Since then he's released a number of albums earning critical acclaim. He's also part of the prog rock supergroup Transatlantic. I got the chance to pose some questions to Morse about his new live album and more. WORMWOOD CHRONICLES: You’ve got a new album/DVD coming out. What can you tell us about that? NEAL MORSE: Yes, the Alive Again DVD and Blu-ray is going on sale on Tuesday for preorders, and the release date is August 5. I think it's really great. It's kind of funny to talk about, I guess… I feel like I'm blowing our horn but I guess that's what you're supposed to do when you're promoting an album! Yeah, I've watched it several times, really out of necessity as I don't particularly enjoy watching myself perform. I'm sure you can imagine that's like looking at pictures of yourself over and over right? Weird, but the band in the music transcends all of that. It really is a tremendous band in the music and the message of the lyrics and the feeling of the audience send the whole thing. I think is quite a special brew. I've already read quite a few really good reviews of it, and the most exciting thing to me is to read how people's hearts are touched by different parts of the concert. It's exciting music but it's also really deep, and that's the part that thrills me the most. WC: It’s been about five years since we last interviewed you. 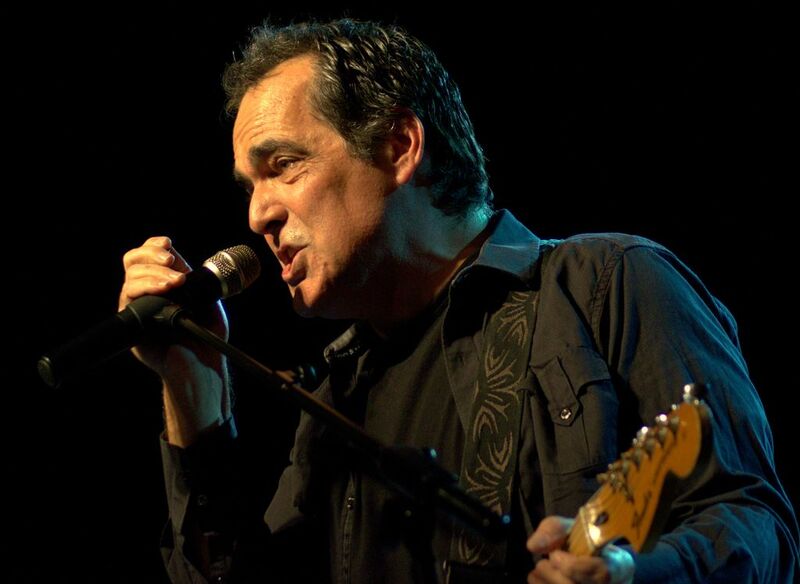 What’s been going on in the world of Neal Morse for the last few years? NM:How much time do you have? How much space do you have in this publication? Wow, well there's been so much in the last five years, my goodness. Trans Atlantic made "Kaleidoscope" and the Kaleidoscope tour. The Neal Morse Band did "The Grand Experiment", and The Grand Experiment tour. Flying Colors made "Second Nature" and "Second Flight". That's just my professional life. My kids graduated high school and are now either in college or going to college. Another standout is the Prog Nation Cruise! Performing with Transatlantic as the boat took off, closing the cruise with "And You and I" with Jon Anderson. Among other things. Starting a church called “City on a Hill” in Nashville. It's been glorious! NM: Well, the most exciting thing that's coming up next is the new Neal Morse Band studio album. It's a double concept album and Mike Portnoy has said that he thinks it's the album of our careers. We are still working on it as we speak. As a matter fact, this morning I'm thinking of doing some more B3 organ and percussion. Release date on that one is November 11. NM: Well, it's good and bad. Apparently it's good for live concerts because more people have access to your music than ever before. There are none of those pesky fees to be concerned about. But, if you're a guy like me that doesn't like to be away from home too much, it's definitely hurt the music business in general. One record executive said to me at a Transatlantic concert, "you know our record sales are down compared to last release, but more people are here at the concerts and know all the words to the songs. You figure it out." The problem is, of course, the devaluing of the arts in general. If people are used to getting something for free they will expect it and perhaps not value it in the same way. But God is good and always makes a way for good things to happen, so I am hopeful. I'm actually very thankful that I can do what I do and support my family. NM: I don't really have an issue with that at all. Bootlegs have existed forever. I don't think it really hurts anything. NM: Wow, that's a weird one! I'm trying to imagine being a superhero first of all. What are my special powers? Writing incredibly long pieces of music? Man, I seriously cannot think of anybody that I would say would be a nemesis. I, for the most part, appreciate what people do or what they're trying to do. I suppose it would be anyone that is making music that is supporting violence and hatred, but I wouldn't even know who those people are because I don't really listen to any of that kind of stuff. Sorry… Boring answer, I know. NM: The Neal Morse Band! No, let's see… I'd love to see and hear a band with a bunch of my heroes… Some of them may be retired now… How about: Peter Gabriel, Bill Bruford, Jan Hammer, Tony Levin and Paul McCartney! NM: Holy Moly! Uh... It might sound a bit like that festival they're having in the fall in Palm Springs! That's a pretty amazing lineup! Let's see… Mine would be really weird because I would have prog artists, pop artists, and Christian artists! NM: I've been listening to John Mayer's two acoustic albums for a while now ("Paradise Valley" and "Born and Raised") - excellent stuff! I also listen to a lot of classical music. NM: The last concert I attended for enjoyment was the Nashville Symphony's performance of Rimsky Korsakov – Scheherazade - amazing! NM: I love stupid pop songs from the 60s and 70s - the dumber the better! “Candida” by Dawn, “Midnight Confession,” “Billy Don't Be a Hero” - stuff like that! NM: Indian food for sure! NM: Just that I'm very grateful to be doing what I'm doing and I hope that this new DVD and Blu-ray and the coming studio album will be a great blessing to you all! God bless you, and thanks.